Clinton, Miss. 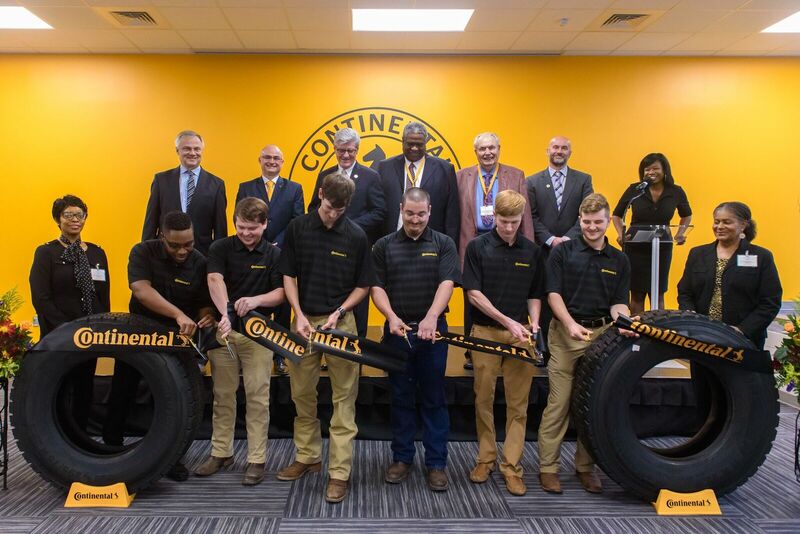 November 8, 2018 – Continental, the leading technology company and premier tire manufacturer, hosted the grand opening for the company’s new Employee Training Center in Clinton, Mississippi. The ceremony, attended by Mississippi Governor Phil Bryant as well as federal, state and local governmental officials, marked a major milestone for the anticipated development. The total investment for the Continental manufacturing site under development in Mississippi is $1.45 billion. From left to right: Prof. Dr. Thomas Winkelmann, Michael Egner, Governor Phil Bryant, Paul Williams und George Jurch. The Training Center is equipped with classrooms, computer labs and technical equipment that will be used for job interviews, new employee orientation, and training. Additionally, Continental’s partnership with Hinds Community College will drive employment and professional development at the facility. The Training Center is the first completed structure in Continental’s long-term growth strategy in Mississippi. The Training Center will support recruitment and retention for Continental’s commercial vehicle tire plant. Additionally, the Training Center will be used for the company’s sales team as well as for special events for Continental’s customers. By the time the tire plant officially starts production in 2020, around 400 employees will be hired. Approximately 2,500 jobs will be created by 2028. For more information on career opportunities with Continental Tire in Clinton, Mississippi, visit www.continental-jobs.com.